Thank you to everyone who took part again this time around - it was bigger than ever with a whopping 86 bloggers signing up, from several countries here in Europe to right across the continents to Australia, New Zealand and the USA. If you haven't yet sent your parcel - please do so. This kind of endeavour can only be successful and fun if everyone upholds their end of the bargain. And it's so lovely to get post and discover how well someone on the other side of a screen - and sometimes the world - understands you. If you've done a post on what you received - I'd love you to do a quick one, if you haven't already - it would be great if you could link it up below. I can't wait to see what everyone found for their budget, and how people interpreted the 'Christmas song' part of the challenge. If you're looking for the Ta-dah! Tuesday link up, that's on my earlier post here, along with what I sent and received in the swap. 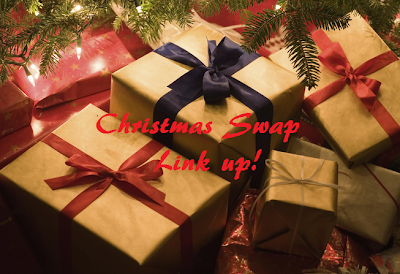 I was hoping you'd do a link up post so I could have a nosey at everyone else's things :-). Thank you for organising it all!! I double lik to you today Lakota.The swap such a success, dear friend. Wow, what a huge swap, you did a great job organising all of us! Thanks for doing it, Lakota, I loved my gifts from Sophie and enjoyed shopping for her. Wow that is amazing and congrats on organising such a fantastic swap. Only sorry I didn't manage to take part! Still waiting - perhaps Ruth will see my plea!!! Perhaps she thought it was for Christmas 2013 - sigh! And I didn't think to take pics of the stuff I sent. Nonetheless, thanks for setting this up, Lakota - and well done to all those who managed to do a successful swap!